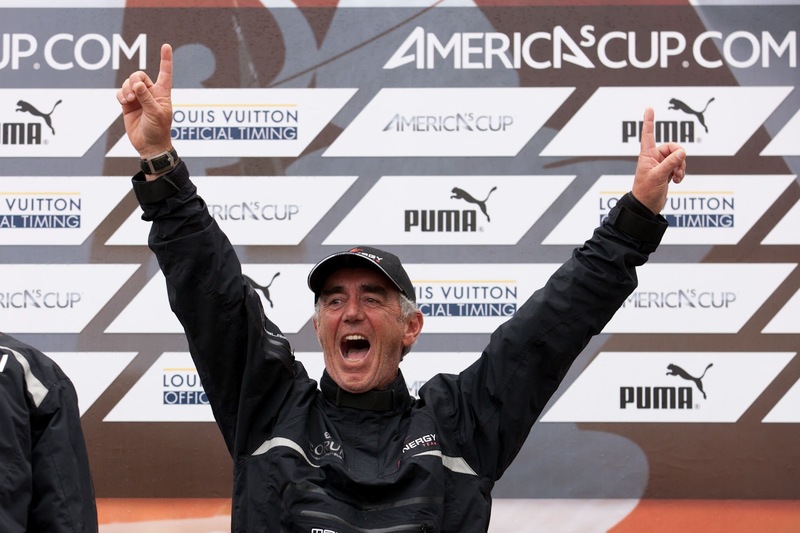 Loïck Peyron continued to demonstrate the form he has shown all week, leading his Energy Team to a spectacular win on the final day of America’s Cup World Series racing in Venice. Peyron and his French crew have been perched atop the leaderboard all four days this week, demonstrating an impressive command of the Grand Canal race area. 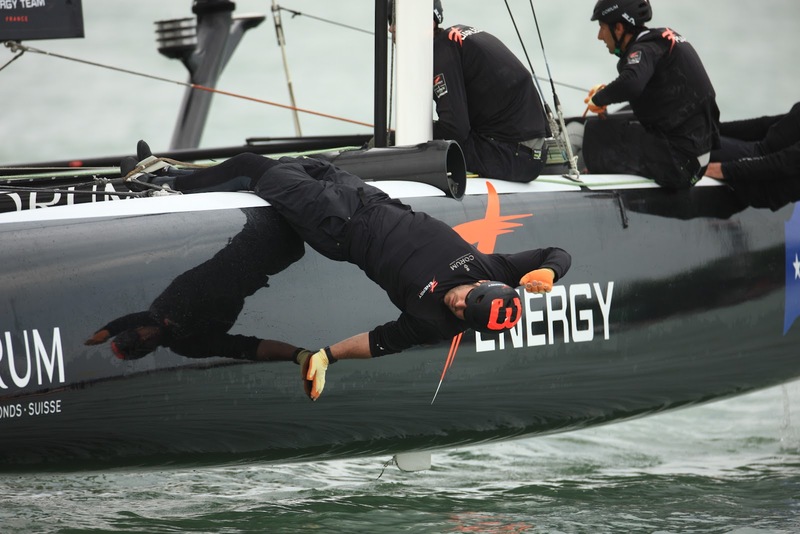 Winds were exceptionally light on Sunday, turning the San Marco race course into perhaps the most challenging one the teams have faced in the World Series to date. The smallest puffs of wind were rewarded with dramatic bursts of speed, leading to teams quickly moving up and down the race leaderboard on the first lap of the course, the positions changing from minute to minute. Early in the race, on the first long downwind leg, Peyron proved to be the best at finding a clear lane and escaped clear ahead of the fleet, with ORACLE TEAM USA Spithill following suit a few moments later. While the French built what seemed to be an insurmountable lead, Spithill kept the pressure on, closing the gap right down to the point where the result wasn’t secure until the final gybe on the finishing line. As the horn sounded to signal victory, Peyron collapsed on the trampoline of his boat in dramatic relief, while his crew celebrated around him. In contrast to the leaders, the bulk of the fleet had trouble separating themselves and at one point became trapped in a very slow pile-up at one of the turning marks, with too many boats trying to squeeze between the mark and the nearby shoreline at the same time. Terry Hutchinson’s Artemis Racing popped out of that incident in third place, with Emirates Team New Zealand chasing them around the race course – even closing enough to incur a penalty for a slow motion collision – before Artemis regained the advantage to lead the Kiwis across the line. Meanwhile the rest of the fleet was too far back to finish within the time limit and were scored as ‘did not finish’, earning no points on the day. Earlier in the afternoon, and for the second consecutive event, Artemis Racing defeated Chris Draper’s Luna Rossa-Piranha to win the Match Racing Championship. In the light, shifty, and tricky conditions, Hutchinson and his crew won the start and protected a narrow lead early before stretching away in the middle of the race for a hard-earned victory. The results in Venice see ORACLE TEAM USA Spithill gain some breathing room on the overall AC World Series leaderboard over Emirates Team New Zealand. 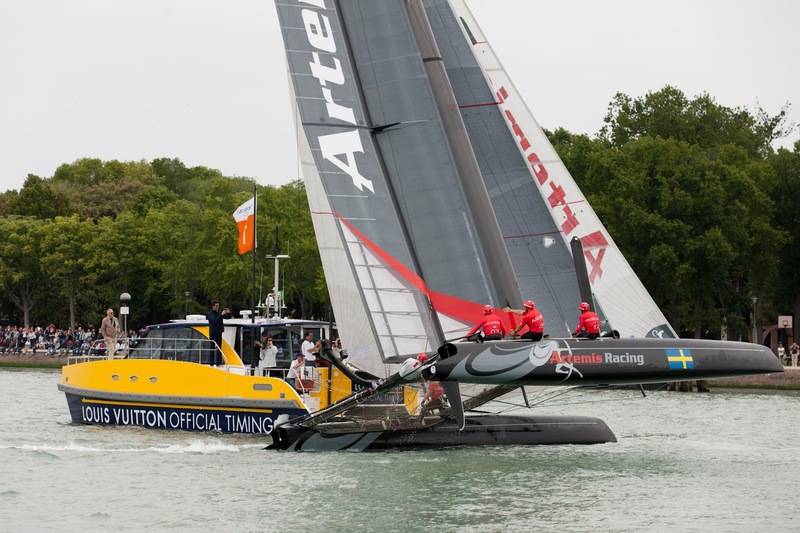 The Kiwis will also now be looking over their shoulders, with Artemis Racing closing in as well, nine points further back. The final event of the 2011-12 AC World Series will take place next month in Newport, Rhode Island from June 26 through July 1, 2012. 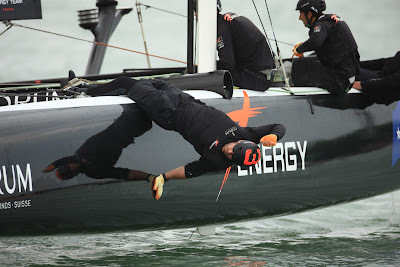 At the conclusion of racing in Newport, the 2011-12 AC World Series champion will be crowned.